Other Projects - Front Range Research Associates, Inc.
Other services provided by Front Range embrace a wide range of tasks, including the preparation of historic publications and memoirs, Part I Federal Tax Credit forms, and historic preservation analyses. Front Range identified historic resources associated with the 1931 Pleasant Hill Bus Tragedy. A school bus driver and five students died in the spring blizzard, with the incident drawing national media attention. The project recommended priorities for future intensive survey. The project was funded under a CLG grant awarded to the Kiowa County Historic Preservation Commission. Front Range worked with Historic Denver to produce a guide to architectural and historical resources of East Colfax Avenue in Denver. Tom and Laurie Simmons joined members of Historic Salida to lead house tours focusing on the neighborhood around the city's Alpine Park. 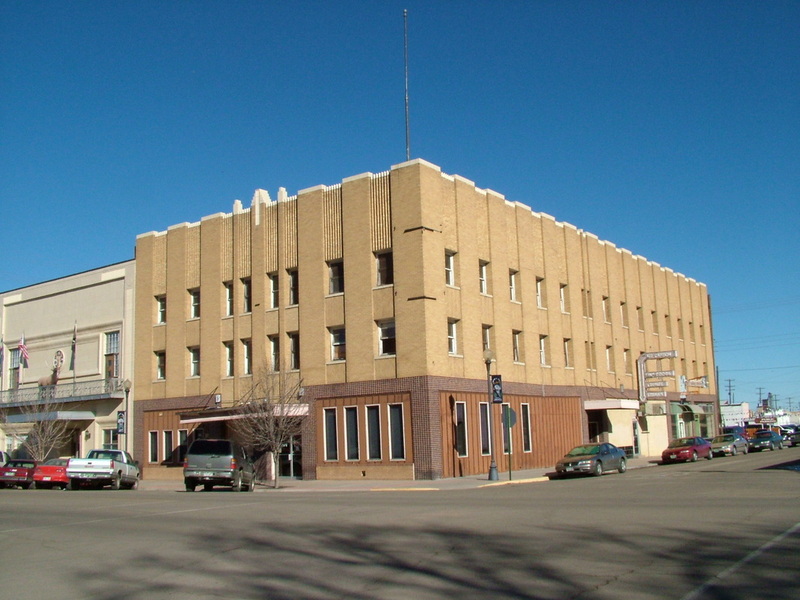 Part I of the Federal Investment Tax Credit Historic Preservation Certification for a historic hotel in La Junta. The project included preparation of an architectural description for the Art Deco hotel, research on the building’s history, photographs of the interior and exterior, mapping, and a statement of significance. Front Range produced a methodology for evaluating and analyzing the Denver Landmark process and the characteristics of Denver historic districts, and comparison the Denver program with those of eleven other cities, mostly in the western U.S.
Thomas Hornsby Ferril Interpretive Panels, Denver, Colorado (2000) Interpretive text for panels installed in the Denver residence of Thomas Hornsby Ferril, the late Colorado Poet Laureate. The dwelling now serves as the home of the Colorado Center for the Book. Formatting, annotations, illustrations, and printing of the Civil War era diary of Ohio resident William B. Taggart, a student at Baldwin University during the conflict. Staff time donated by Front Range. 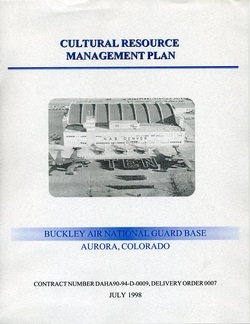 The historical component of a cultural resources management plan for an active military installation containing Air National Guard, U.S. Air Force, and other units. Subconsutlant to Foothill Engineering, Inc.
Front Range worked with Professor Thomas J. Noel (University of Colorado-Denver) to produce a guide to Denver individual and district landmarks for the Office of Planning and Community Development and the Landmark Preservation Commission. Front Range assisted with project photography and editing, organized landmarks into geographic subareas, and prepared draft maps. The book, Denver Landmarks & Historic Districts, was published by the University Press of Colorado in 1996. Front Range donated staff time to edit, compile, and publish this reminiscence by Carl L. Goss, an 82-year-old rancher in southeast Colorado. This volunteer project included scanning and formatting the narrative and laying out illustrations.